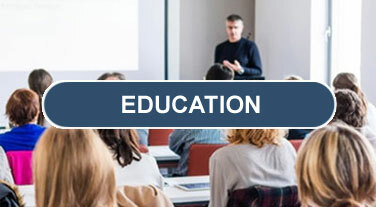 CLAREMONT, CA – November 30, 2017 Instantaneous Data, Autonomous Vehicles, Total Visibility, Block Chains, Increased Capacity, Uberization of Transit, Machine Learning, Specialization, Compliance and Transformative Movement were key topics discussed at the 2017 Fall Symposium hosted by the APICS Inland Empire Chapter (APICS-IE). 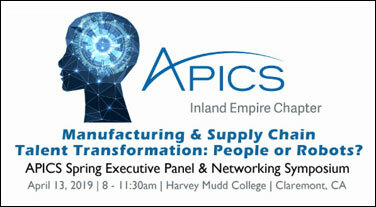 APICS-IE, the leading association for supply chain and operations professionals in the Inland Empire area of Southern California assembled a panel of key industry experts to discuss their experiences in “Leveraging Technologies for Supply Chain Success”. “The supply chain spans the complete product life cycle from new product development to procurement and movement of raw materials through manufacturing, distribution and client delivery. What is most important is what happens in between to maximize performance and deliver an Amazon-like customer experience” notes Lisa Anderson, APICS-IE Chapter Leader and President of LMA Consulting Group. From autonomous forklifts to identifying the contents of a specific shipping container, technology is improving the information and dynamics along the supply chain. “Our panel confirmed that we can’t stand still. Advances in ‘The Internet of Things’ is making information more accessible. Robotics is making local production more affordable. And, blockchain has the potential to bring secure, instantaneous, transparent transactions to high-stakes business transactions” she concluded. The panel included: Thomas Jeleni?, Vice President, Pacific Merchant Shipping Association; Terrie Dean, Director, ISCM Compliance Technology at The Walt Disney Company; Craig Young, Vice President of Operations at Tropicale Foods, Inc; Prof Stephen Ritchie, Professor, Civil Engineering, University of California, Irvine; and, Matt Weinberg, Director, OceanX. 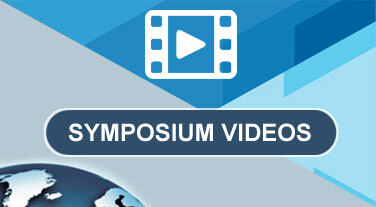 APICS-IE will hold its next symposium in Spring 2018. 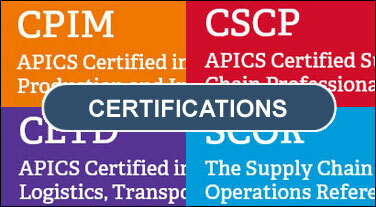 Information will be on the APICS-IE website.